Even after finishing Not by Love Alone, I still wonder at the rapid spread of Western music in 19th– and early 20th-century Japan. 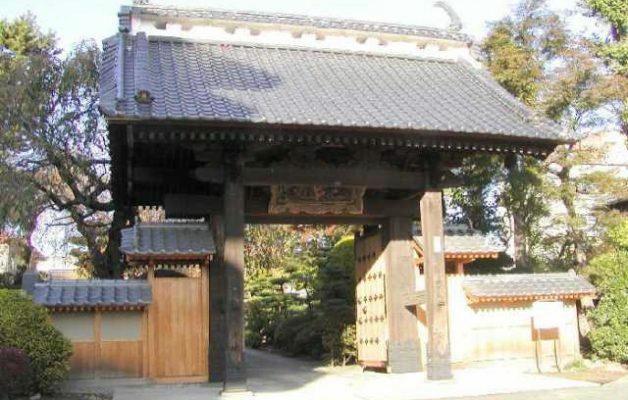 Like others writing about the history of Western music in Japan, I made much of the Japanese pioneers who studied in the West or had Western teachers. Yet the vast majority of Japanese music teachers and local pioneers had minimal training in Western music. Many of them were fuelled by an enormous missionary zeal nonetheless. 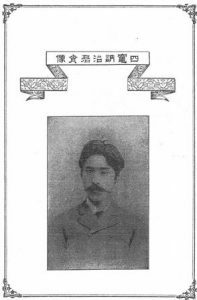 One of them was Shikama Totsuji 四竈訥治 (訥堂; 1853 – 1928), who launched the first magazine devoted to music, Ongaku zasshi 音楽雑誌, and published numerous books, mostly collections of songs and instrumental tutors. In his articles in Ongaku zasshi he has much to say about the importance of music for the nation. Shikama Totsuji’s own early musical training so far remains a mystery. All we know for certain is that he completed what we might call a crash course for teachers at the Tokyo Academy of Music (the present-day Geidai). 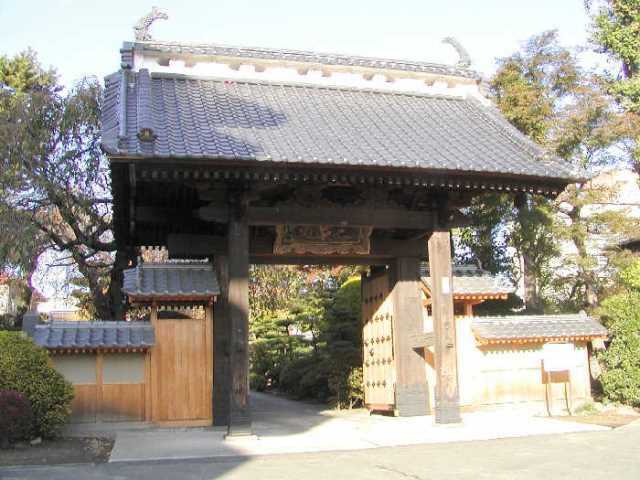 What we do know about his early education is that it was typical for a samurai at the time; he studied the Confucian classics the domain school Yôkendô 養賢堂in Sendai. So I ask myself: were there elements in the Confucian classics that predisposed young men like Shikama to regard promoting Western music as a public service? 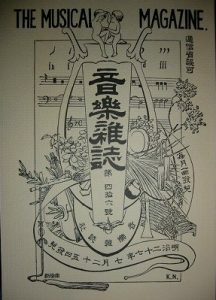 As I know from my research for Private Academies of Chinese Learning in Meiji Japan, the curriculum in the so-called kangaku juku 漢学塾 almost always included the Four Books and the Five Classics 四書五経; one of the later is the Book of Rites 礼経 with a substantial section on music. There we read that music, together with rites, laws and punishment, was regarded as an indispensable part of good government. Music is associated with heaven, with harmony, joy, similarity and unity, with the spiritual and human affections and with order, including the regulation of physical movement. Sounds familiar? In sum, even superficial reading of the Book of Rites suggests that the concepts associated with music could easily have been perceived by Shikama and others as similar to and compatible with what they heard about music in the West. The idea that music is part of good government may well have prepared the ground for the Meiji leaders’ later efforts to actively appropriate Western music for nation-building.